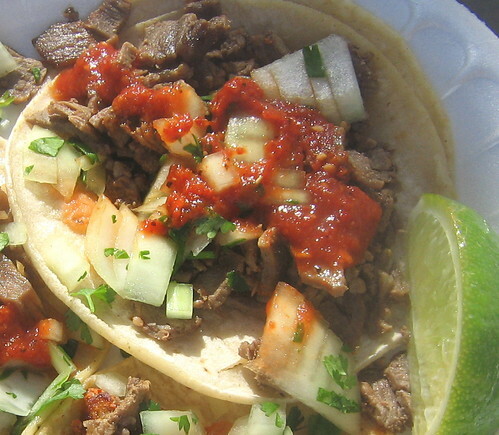 Taqueria Chihuahua on Venice blvd in Mar Vista is now open. 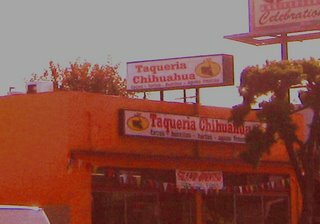 Many will remember the Taqueria Chihuahua on Olympic and 20th in Santa Monica which had a reputation as one of the Westside's best taquerias. They lost their lease last year and have now relocated to the Mar Vista area. Anyone hoping to find the old Taqueria Chihuahua will be disappointed. The menu at the new location is much more condensed. Gone are the nachos , the enchiladas, the chile colorado burrito, tacos dorados and one of the best bean and cheese burritos known to mankind. The new location is a stripped down taco hut with a menu consisting of burritos, tacos, tortas and quesadillas and meat choices of asada, carnitas, al pastor, lengua, buche, cabeza, chicharron. 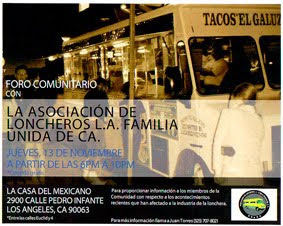 Possibly a more in tune menu with the immigrant neighborhoods of Mar Vista. Only time will tell. The pricing is different as well. Tacos are $1.37 each and they are the small tacos. I love the small tacos but generally these are $1 a pop at most taco stands . King Taco can get away charging $1.15 because they are King Taco. Three tacos hits you in the wallet at $4.11 and with a soda for $1.50 your total is 5.61. At the Santa Monica location you could get a 3 taco combo with rice, beans and soda for the same price. Having said all that, the carne asada and carnitas tacos I had were very good. 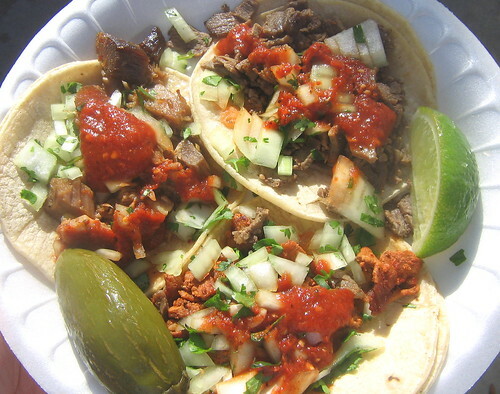 They were classic small taqueria tacos topped with onions, cilantro and a flavorful salsa roja. It's hard to compare the new taqueria to anything else but it's previous namesake. That may be unfair but it's just how it is. Long time Taqueria Chihuahua fans may not be happy to find half of the menu gone but newcomers may welcome another classic taqueria to the neighborhood. Well, that's a bummer. I guess I'll have to stick with my usual within-biking-range standbys, Tacos Estilo Mexico and Taqueria Sanchez. 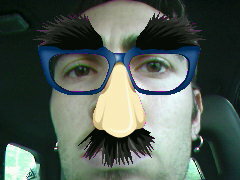 Hey, Yeah! 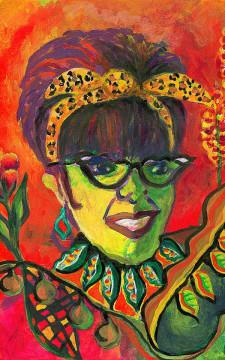 When I was at A Mano Yarn Store on Venice Blvd. 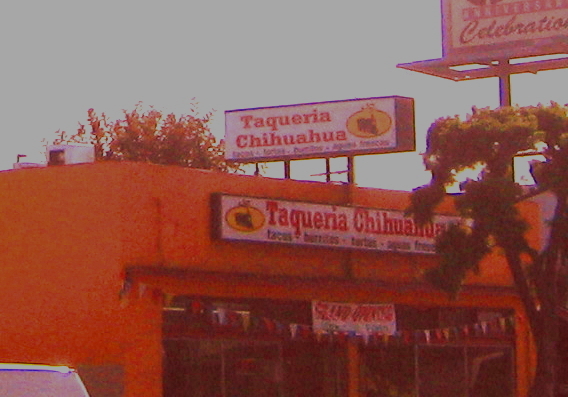 the other day I spotted the new Taqueria Chihuahua. I must say, I frequented the SM location alot, since it was near my office. I'll be interested to try the new place...thanks for the review. Their back and better than before at Pico and Lincoln! Great News!! The Taqueria Chihuahua once located at Olympic and 20th has now moved to Lincoln and Pico and is open with the complete menu. They are acroo from Tommy's. Although I didn't try the old Taqueria Chihuahua, I must say,the burrito I just tried was GREAT!